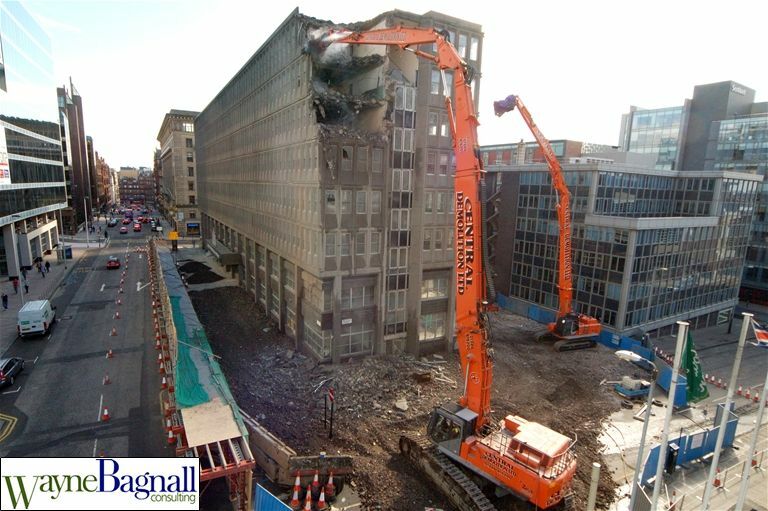 Laing O'Rourke (Scotland) Ltd had successfully won a prestigous building project for a state of the art office block; to enable this an existing 30m high 1960's office block required demolition. 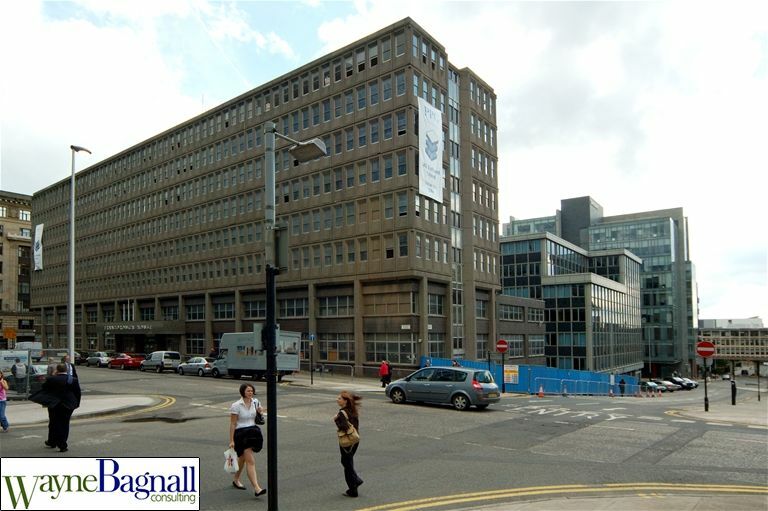 The building being in the city centre on a confirned site fronting onto Bothwell Street linked to the exit of the M8 Motorway; the highways would not allow any lane closures. 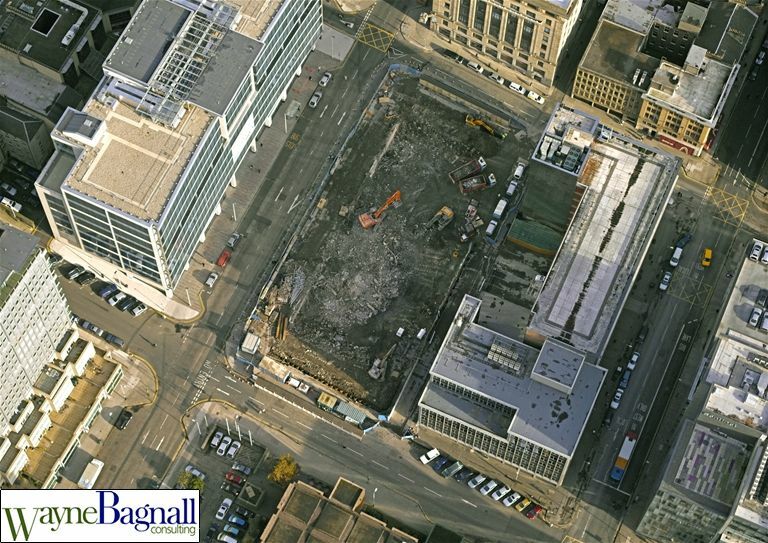 In the spirit of CDM everyone wished to avoid any unnecessary risks, however without being able to close the road it was doubtful that the building could be demolished remotely; this potentially required persons working at height whilst demolition was done floor by floor. It was found that by incorporating a pedestrian tunnel into the physical barriers this provided sufficient space for the exclusion zone. The resultant successful outcomes proved that the building could be demolished remotely with no debris breaches of these barriers.